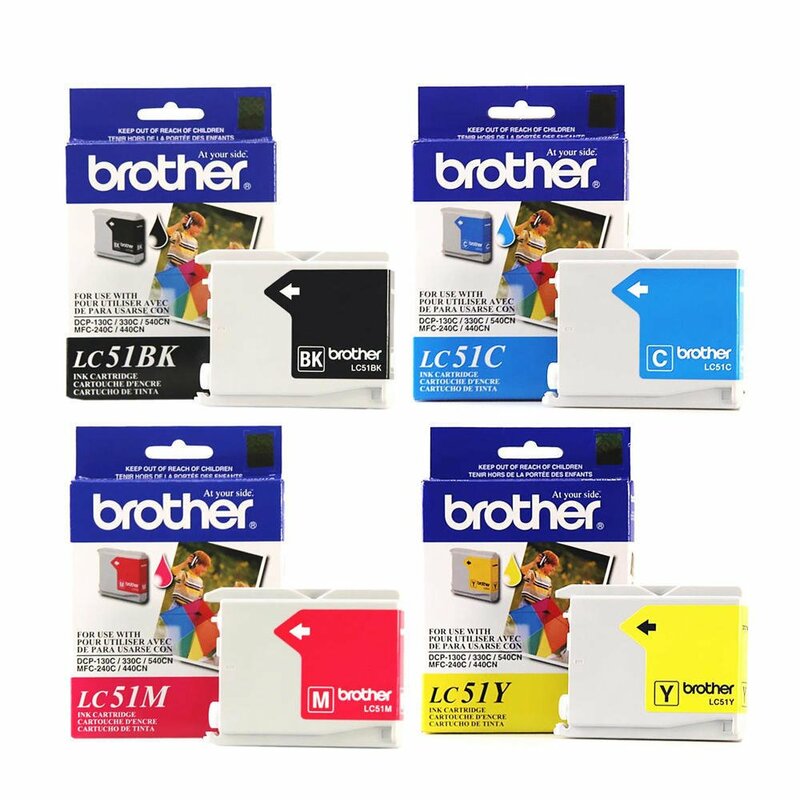 (1) Cartucho Brother LC51C cyan. 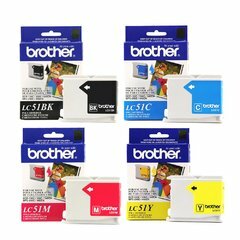 (1) Cartucho Brother LC51M magenta. (1) Cartucho Brother LC51Y amarillo. DCP-130C - DCP-330C - DCP-350C - DCP-540CN - DCP-560CN - MFC-230C - MFC-240C - MFC-440CN - MFC-465CN - MFC-665CW - MFC-685CW - MFC-845CW - MFC-885CW - MFC-3360C - MFC-5460CN - MFC-5860 - Fax-1860C - Fax-1960C - Fax 2480C - Fax-2580C.